A baby's pediatrician can play quite an essential role, particularly in the first year of life. 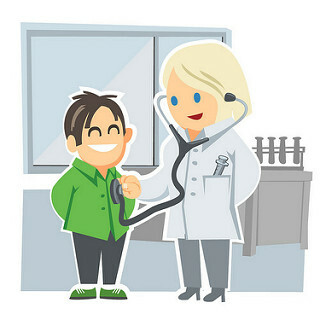 It is important that you choose a pediatrician you feel comfortable with one you trust. How do you go about choosing a doctor for your baby? And what can you do when you don't get along with your chosen pediatrician? The process of choosing a good doctor consists of several parts. Let's tackle the practical part first. Insurance coverage, geographical distance, and responsiveness are very important. Every parents wants their pediatrician, or one of the pediatricians at a larger clinic, to be available when needed. How long does it take you to get to your ped's office? Are they happy to pencil you in for an appointment at short notice? And will your pediatrician visit your baby at home when he is sick? The second part is more personal do you trust your doctor? Does your doctor's view on medical issues correspond to your own? If you are more naturally minded, for instance, is your doctor respectful of trying natural remedies for common illnesses before moving on to medical treatments? Also, does your doctor stick to his or her area of expertise, and refrain from giving parenting advice (for which a pediatrician is no more qualified than your mother or your neighbor)? A good pediatrician is responsive, and there when you need him or her. A good pediatrician is respectful of parents, listens to them knowing that they provide the most valuable information about their baby, and trusts their instincts when they think something is seriously wrong, but also helps ease new parents' fears about a sick baby. Choosing a pediatrician for your baby is not easy... unless you ask straight forward questions about their medical views and the functioning of their office. A good pediatrician is worth a lot, while one that is not available in emergencies or one that lectures you about unrelated topics like sleep training or formula feeding (yes, it happens!) can be replaced. Don't feel shy about interviewing pediatricians during pregnancy either having a good doctor around before your baby is born is definitely justified!